VR will start to make its way into the mainstream. If you'd asked us earlier this year what we thought of VR, we'd probably have said it was just going to be a marketing bubble like 3D was. That was until we got hold of Google Cardboard. Oh my! VR is going to come and it will stay. Nothing beats the experience of being in the Jungle, looking around and having a Gorilla walk up to the camera and stare you down. It appears so realistic that you feel the urge to walk away. Check out the video below with Google Cardboard. 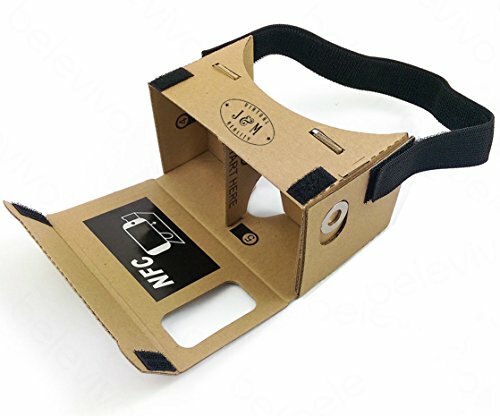 Cheap VR, like cardboard, is groundbreaking. It will open the gateway to new and unique VR experiences. Schools and learning institutes will be the first mass adopters of VR, allowing them to build great learning experiences. Naturally this will then trickle down to consumers and businesses. The UK government won't win their war against encryption. The UK government has been trying to get laws changed to make it easier for them to spy on ordinary citizens’ digital lives, under the guise of protection against terrorism by trying to weaken internet encryption so that it is easier for Spooks to gain access to users messages. The beginning of the end for Dropbox. Many IT Support providers inexperienced in cloud services have nailed their flag to Dropbox as a backup solution for their clients. Sadly, they are too inexperienced to recognise Dropbox as a Unicorn. It's primary revenue stream, charging for storage space, is currently in a race to the bottom with big players like Microsoft and Google giving away data storage at much lower prices (and in some cases, completely free). They can do this because they own their data centres; Dropbox does not. In the last month of 2015 Dropbox has killed two of its products, Carousel and Mailbox. From the outside, Dropbox seems to have no innovation taking place, and its business offerings are failing to catch on. When this Unicorn does fail it will be fast. Really damn fast. Don't let you business get caught out by poor Cloud storage advice. Machine Learning will take over more of your mundane business tasks. At the end of 2015, we have seen Google using machine learning to quickly answer your emails automatically with Inbox for Gmail. The use of machine learning will continue to grow in 2016 as more people become aware of machine learning and start actively looking for services that offer machine learning to reduce business costs and regain time. Leaving humans doing the jobs machines have not yet learnt to do, but one day will! SpaceX will successfully land a reusable rocket. It is going to happen. It could even happen before the year is up. As Gary Player once recited "The more I practice, the luckier I get" - SpaceX are so close to achieving this goal of a reusable rocket. Space is the next great frontier that technology will take us to. It is full of precious resources that need mining, places that need exploring and a reusable rocket is vital to make sure these resources can be explored and “harvested” at a low price. Companies are experimenting in this area, including Virgin Galactic and Blue Origin. But, Elon Musk's SpaceX is our favourite, and to us looks the most promising. We predicted that is may happen and Space X have met our prediction early. This morning they successfully landed a reusable Falcon9 rocket.